Remember when you were a kid on the night before Christmas? It was the one time of year you actually went to bed early. The torture of it all however, was that you were so excited you could not fall asleep. Last night I felt like a 6 year old kid in jammies trying to fall asleep before Santa showed up and drove me off to Moab in his Jeep. Anyway, today we are off to Moab for a week to explore some trails and have a great time. 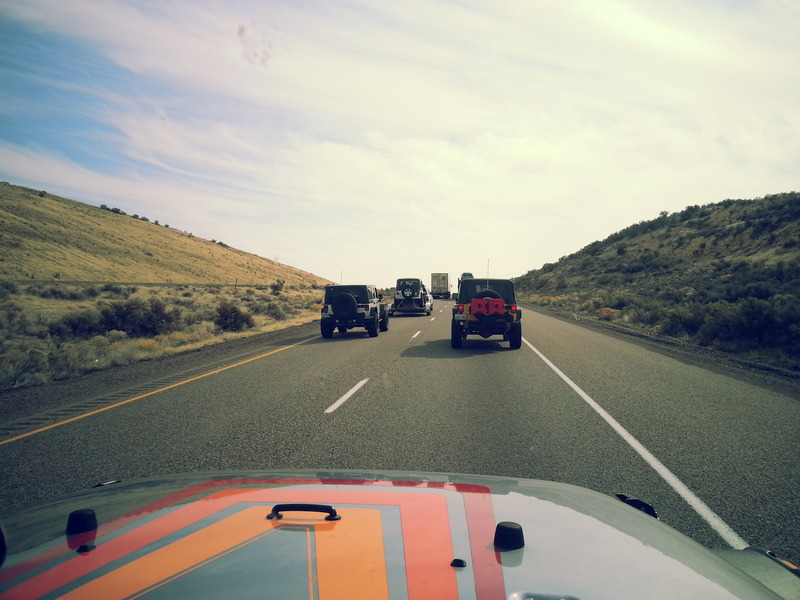 The group, on Highway 84 to Moab. Keep up with our adventures right here on Off-road Vegan!